With Christmas fast approaching and consumers feeling the pinch of recent budget cuts, the battle is on the High St to entice Christmas shoppers inside their tinsle laden interiors to spend their precious pennies. In the last decade, technology has dramatically affected the way that consumers read. With updated versions of e-readers and i-pad’s hitting the shelves over the next few weeks, where does that leave the likes of WHSmith’s and Waterstones when it comes to buying literature? More than 800 bookshops have shut in the past five years, including almost 400 independent outlets, according to new figures from the Booksellers Association of UK and Ireland. Major book retailers are being forced to cut their prices and it’s not an uncommon site to see ‘buy one get one free’ deals on immaculate hardcovers to encourage that all important Christmas consumer, full of mulled wine and on his way to compare broadband deals at the pub. In our modern world, there has been an increased interest for e-readers such as Amazon.com's Kindle, Barnes & Noble's Nook and Sony's Reader. Rather than trying to wedge our dog-eared paperbacks into our bags, we are now convenienced with downloadble novels in their hundreds within the slimline gadgets. Sales of e-books increased by 318% in 2010 and many predict that at least 50% of all books sold within 10 years will be digital downloads. Does it really share the same sentiment to receive a gift certificate for Amazon in order to download your fiction, or is it really better to receive an old-fashioned book? There seems to be a similar electronic landslide in the US, where Net e-book sales in January were reported to have accumulated $69.9 million in revenue for their publishers, which amounts to a 116 percent jump from last year's total for the month. During the same period, adult hardcovers were down 11.3 percent to $49.1 million and paperbacks faced a similar reduction in demand and fell to $83.6 million, a steep drop of 19.7 percent year-on-year. However, back in the UK, there seems to be an unlikely profiteer in the form of the supermarket. Publishers and Literary agents are more likely to keep a keen eye on what’s making Tesco’s Top 10 fiction, as sales at supermarkets and “mixed multiples”, such as high street shops like Mothercare, rose by 7% in 2010, an increase of around £14.9m in value terms. Retailer Analyst, Kate Clavert, said: “I think there is a general trend of supermarkets taking an increasing share of the non-food spend. They can also pitch their pricing lower than the high street, which is something they can do economically. Amazon.com is now selling more e-books than paperback books, so their business has shifted too." Since the spending cuts have been introduced, libraries are facing a bleak future. Are they an easy target for government cuts or are we as a society not using the services of this institution as we once did? I regularly visit the library with my young children, but other than children, students and the elderly, are the books really being borrowed as much as they once were? The libraries are pulling out all the stops to bring back local support it seems, with more in-house events such as film clubs, book clubs and craft fairs being held. There has also been an increase of computers for internet use installed within the library itself. It does seem ironic while a few people scour the shelves for a book to read, a queue is forming for people to log on to the available computers in order to check their e-mail accounts. I hope that the libraries stay open. I take full advantage of borrowing books that would ordinarily cost me £10 from a book shop. I haven’t yet dipped my toe into the future of e-reading, I am hoping that the likes of Waterstone’s shop windows continue to burst with eye-catching books to entice me inside. But, on a recent train journey, I couldn’t help but notice a plethora of commuters sat tapping on their Smartphones or engrossed in their Kindles, a random few with a paperback or newspaper. Will the book become obsolete, down the same path as vinyl or VHS, is the future really Kindle? Isabella Woods is a professional writer for numerous websites and publications. There's so much to be thankful for this year. I've got my own novel Black Cow coming out in the new year, I've got a new novel in the works, and poetry flowing from the fingertips (and a very interesting proposal on something that I can't yet talk about but is exciting me). But it's as a reader that I'm most grateful. I'm grateful for my stack of 'to be read' books. Yes, it's growing, and yes I have more books than time to read (or review) them, but in the overall scheme of things, I'm pretty happy to be in this situation. 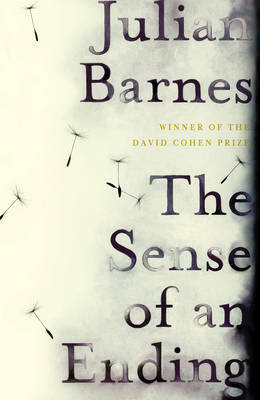 I'm thankful for Julian Barnes' The Sense of An Ending, sitting patiently, in all its slim, elegant hardbackness, on my bedside table. I'm also grateful for Umberto Eco's The Prague Cemetery, with its striking red and gilt wolf cover, promising the most erudite of terror. Then there's my half finished Catch-22 (I'll be back soon Joseph), Richard Dawkins' and Dave McKean's The Magic of Reality, beautiful enough to have on the coffee table (though I don't actually have a coffee table), the lovely Buddhistic poetry book Mountains Belong to the People Who Love Them, which is almost finished (and it's been doing me so much good that I've nearly forgotten to blog), and many many more delicious books, all plump and juicy and beckoning to me from their steamy covers. If I don't show up at your Thanksgiving dinner, it isn't because I'm not grateful for your invitation. I'm not averse to turkey with cranberry sauce, or a lovely natter over a glass of vino. It's just that there are so many good books out right now, that all I really wanna do, is sit like a statue (let's say, like Buddha) on my plump sofa and read all weekend long. Happy Thanksgiving, and may all your stacks be enticing. I often coach authors with their blogging projects. They know it’s important enough to the health of their books to hire me, but they haven’t explored their blog’s features and they tend to go blog-happy and forget that a blog intended to market their books must stay focused on, well, books. At the very least. Actually the focus should be a little narrower than that. It should follow a track aligned with the genre the author writes in or even the specific book he or she has written. Here are some basic rules for an author’s blog if the blog is to do more than serve as a fun hobby. 1. Map out a campaign for your blog. Reread your book. What are the themes? What do the characters do for a living? What genre is it. Make notes. I mean it. You should be able to make a list of ten or twelve essential aspects of your book. Now decide which of them you want to cover in your blog and name it according. Often your name or the name of your book will work. 2. Type “labels” or keywords into that little window-like form located under your blog post window. They help people—you know, people like READERS—find your blog. 3. Don’t spend a lot of money getting someone to design your blog page. Sure it should look good, but the free templates will work just fine. People come to hear what you have to say. 4. Don’t bury your blog on the most obscure service you can find. It should be on one that Google’s spiders visit and record. That’s one reason I like blogspot.com or blogger.com. It’s owned by Google and blog posts get noticed practically immediately. 5. Like just about anything else in your book’s marketing campaign, exposure is important. Use Real Simple Syndication (RSS Feeds) to send notifications to Twitter, your Facebook page, even your Web site. 6. Don’t choose a blog service that tells you in its terms of service that in will censure and censor what you write. (Wordpress is one of those.) What if you write chicklit? Or streetwise crime? Or just like to rant? And trust me, blog visitors tend to love a good rant! 7. You know that voice you developed when you wrote your book. Don’t lose it! You blog isn’t a high school essay. 8. One of my writing pals (Peter Bowerman) ends almost every one of his blogs with a question. It’s a good habit to get into..
9. Read. Ideas come from reading everything from The New Yorker to Time magazine to other people’s blogs. (But do check the chapter on plagiarism in the new edition of my Frugal Book Promoter (http://budurl.com/FrugalBkPromo) . It will help you navigate things like quotes and the borrowing of ideas. 10. Promote your blog by leaving comments on others’ blogs—especially if they relate to yours. But do add something to the conversation rather than using a cut-and-paste comment that obviously shows no interest in the blogger or her post. 11. Add images, widgets, or ads when you can. Some blog services help you by automating gadgets that will help with this. 12. Use a service like Google’s Analytics that helps you assess where your readers are coming from and which of your blogs attract the most readers. 13. Occasionally mention some of the other things you do on the Web, like your Web site, your Facebook Like page, and your Twitter stream. If you are a fiction writer, read the white paper Phyllis Zimbler Miller and I wrote on blogging for fiction writers (www.fictionmarketing.com). And the chapters on blogging in The Frugal Book Promoter. Honestly, do these things and you may not need to pay me or people like me the big bucks (Ahem!) to make your blog effective. Effective involves others—writers, readers, and other bloggers. Effective blogging connects with your other online entities. You can have fun with it. You should have fun with it. But blogging effectively adds to the joy. Think of how much more fun it will be when you look at those stats and see that your blogging efforts are in fact a viable way to market your book. Carolyn Howard-Johnson is the author of Your Blog, Your Business (www.budurl.com/Blogging4Retailers), and a new edition of the multi award-winning The Frugal Book Promoter (www.budurl.com/FrugalBkProm) which has been Expanded! Updated! And is now a USA Book News winner in its own right! It’s also now available for Kindle at http://budurl.com/FrugalBkProKindle. The Poetic Museling are blaming me as one of the guilty parties for the situation they find themselves in now. I conducted a workshop on "Developing a Poetry Chapbook from Concept to Completion," during the 2008 Muse Online Writers Conference. Some of the poets who took this workshop continued to meet after the Conference to write and critique, and collectively decided to create something that was greater than each of their individual works. They're now assigning blame to me for giving them courage, vision, and tools to go forward with a dream to create a real book. They called me "mentor", and asked for my advice along the way as they chose and edited their poems, and I was happy to oblige. The resulting Lifelines Anthology, written by the Poetic Muselings, is now available on Amazon. Am I excited and proud of what these poets have created out of that class? You bet I am. Do I accept the blame (and kudos)? Nah. They did it all themselves, following through what was little more than a series of prompts with guts, tenacity, talent and a lot of hard work. The resulting book is a beautiful thing, full of insightful poetry, life stories, and a great deal of vision. Well done Muselings. It was all your own doing! 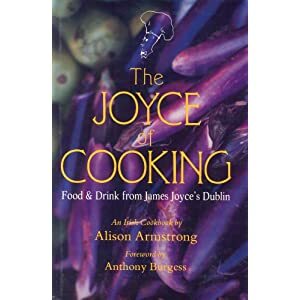 Way back in my undergrad days I attended a launch party for Alison Armstrong's The Joyce of Cooking. It was a heady affair for me, not least of which because I was in the midst of my very first graduate level class in James Joyce, having become rather smitten with Ulysses, and I felt utterly, absolutely accepted as an equal there, thanks to a very kind introduction by my then teacher Sydney Feshbach, who later became president of the James Joyce Society in NY where the launch was held. I've since had at the back of my mind that I would also like to do a literary cookbook of some description - combining my love of books with a love of eating (and even greater of love reading about people eating). That hasn't really happened, not least of which because I'm not a chef, but I did put together a fun little cookbook titled The Literary Lunch: Recipes for a Hungry Mind, which involved scouring some of my favourite books and developing recipes based on meals that characters actually ate. Most of the books didn't provide recipes, but I had a go at formulating my own and tested each one and they were all pretty nice. Most are easy - only one was a little complex and that's in keeping with the complexity of the novel that inspired it The Magic Mountain by Thomas Mann. So here's the one complex recipe from the book. If you'd like the other easier ones, you can have them for the not very complex price of $0. To grab a copy just drop by my website http://www.magdalenaball.com and sign up for my newsletter there (I don't send out many - just updates when new books come out - and don't worry - I'm not that prolific!) and a copy will be yours. Happy cooking! In an electric mixer bowl, mix the cocoa and water. Then add the egg yolks and sugar. Place the bowl in a pan of hot water over medium heat, beat with an electric mixer until the smooth and shiny. Then beat in the butter until smooth. Set aside. In a food processor (put into the freezer 10 minutes beforehand), combine flour and salt. Add butter and process until like bread crumbs. Sprinkle water on and process into a ball. Wrap in plastic wrap and chill for at least 30 minutes. On a lightly floured surface, roll out and fit into a greased 9 inch pie pan. Crimp the dough to form a decorative border (using a fork). Prick the pastry with a fork. Chill for at least 30 minutes before filling and baking. Bring the cream to simmering point in a saucepan. Put the chocolate into a bowl and stir in the hot cream. Keep stirring until it has combined to form a sauce. Stir in the almonds, and sugar, and let cool to room temperature. Gently mix in the whipped egg whites until combined, and place in the tart shell. Bake at in a preheated 350ºF or 180ºC oven for 45 minutes until the filling has set and is slightly puffed. Cool on a pie rack. When cool, pipe butter cream frosting around the edge and over the top in a lattice effect. Serve with vanilla ice cream. LOS ANGELES – USABookNews.com, the premiere online magazine and review website for mainstream and independent publishing houses, announced that Blooming Red has been placed as a finalist for poetry in THE USA “BEST BOOKS 2011” AWARDS on November 1, 2011. Awards were presented for titles published in 2010 and 2011. Of Bloming Red, reviewer Joyce White said "Reading these two award winners is like partaking in their womanhood, tasting their femininity, and meeting their past head on. Their poems cry out for their inner child who still wants Santa to come visit them, you know...equality for all; and, I agree with Carolyn who says "[in] Einstein's less than balanced world...we would be less than dead." Maggie writes of abundance and waste, of gluttonous dyspepsia...of the inability to digest joy when others are hungry, what cannot be created or destroyed...a huge database of Christmas past (found in the attic)...random messy knowledge curse of recall becoming parcels he could leap...with only one present leading him to greatness...with anticipation turning to memory before weeping eyes...a house full of dreams, visions and desires, each glass ball becoming a wish, taken from the tree of life we decorate at Christmas...super connections pulsing, through the anti-matter of your tired brain, wrought with nostalgia and wrung through time's dryer...Once the paper's gone, it's just us again, tired, spent, remembering life...one tap of the keyboard a newbie springs forth...no sacrifices in blood here...this is a rational zone so many years on fertile. Make your holiday great and read your family Blooming Red. It is a great holiday stuffer!"